Set sail and take in the views of Jamaica’s south coast from the best seat in the house aboard the Island Routes Reggae Sunset Cruise. After a quick safety briefing, we’ll make our way to a quiet beach where you’ll be allowed time to swim and splash around in the crisp blue waters of the Caribbean Sea. Once everyone is back onboard your captain will continue to cruise along the coastline as you head towards Scott’s Cove, here you’ll be given a brief history of the local area. End the day on a high as you marvel at the stunning sunset while enjoying tasty appetizers, signature cocktails and the latest local and international music played by the onboard DJ. 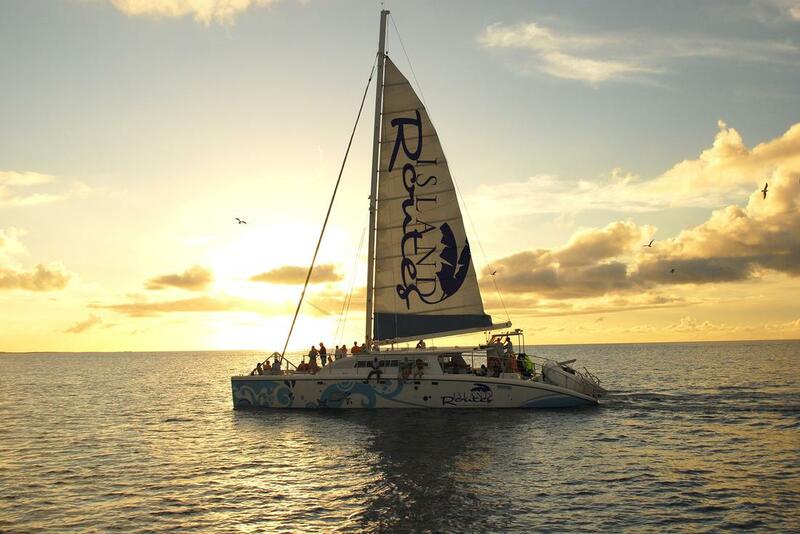 There’s nothing quite like a Caribbean sunset to provide the backdrop to this club on water!